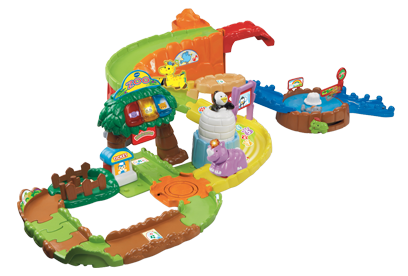 Toot-Toot Animals playsets are lots of fun! 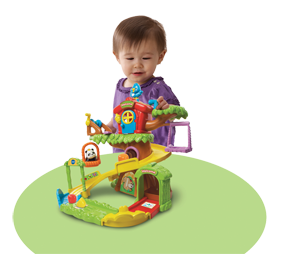 Each playset comes with great activities such as a shape sorter, lift up launcher, spinning platforms and much more! 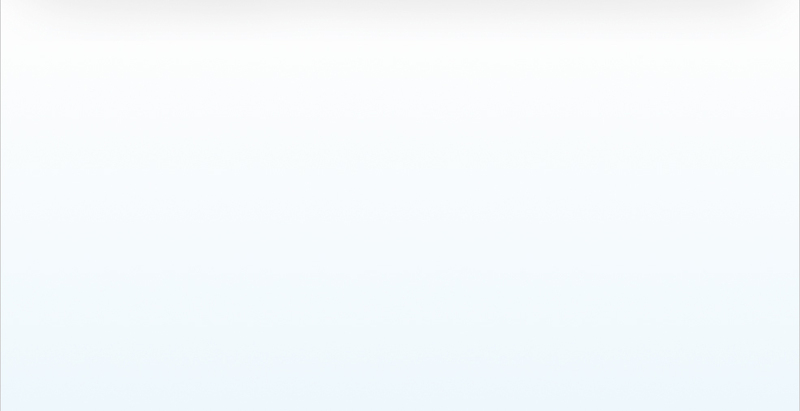 The track set allows the playsets to be joined together to encourage your child's creativity. 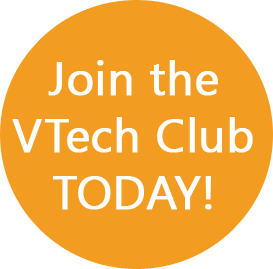 Plus, playsets are equipped with SmartPoint™ technology. SmartPoint locations recognise and respond to Toot-Toot animals with sound effects that keep little ones engaged by boosting imaginative play, teaching cause and effect and other important learning skills. Perfectly-sized for little hands, Toot-Toot Animals entertain your child with a light up button that activates music and sounds! 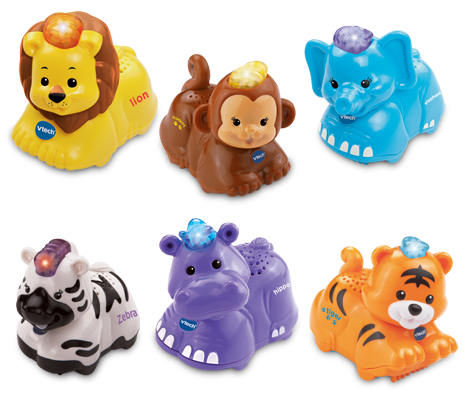 Equipped with SmartPoint™ technology, these electronic animals flash and respond to SmartPoint locations with different phrases, animal and nature sound effects, and melodies on Toot-Toot Animals playsets (each sold separately). 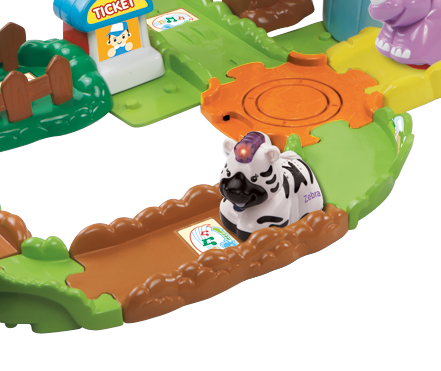 Every Toot-Toot Animals playset features VTech's unique SmartPoint technology. 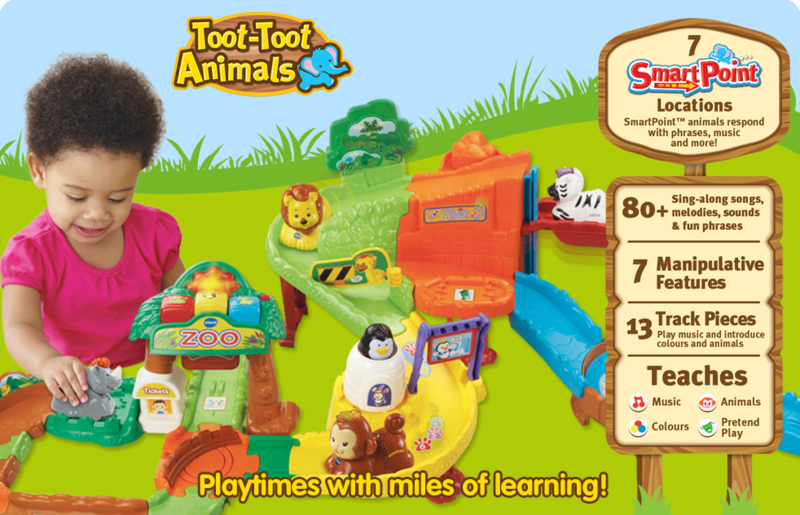 When a Toot-Toot Animals vehicle crosses over a SmartPoint on a playset, the animal responds with phrases, sounds and more! 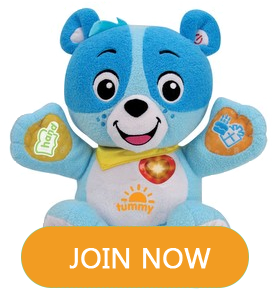 Interactive SmartPoints respond differently to each animal and encourage imaginative play.